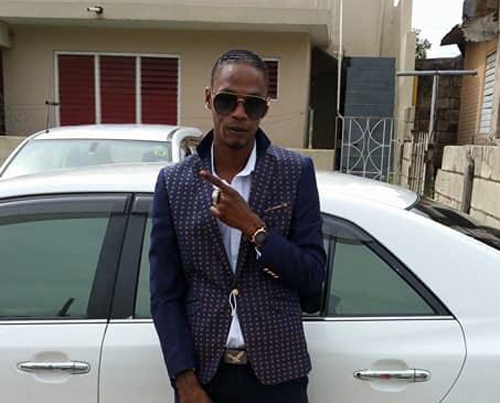 Lady Luck ran out on a man in Montego Bay on Tuesday afternoon when, after successfully evading several attempts on his life, he was gunned down by unknown assailants along Hart Street in the city. The dead man has been identified as Davian Watson, otherwise called ‘Lego’ and ‘Sup’m’, unemployed of Railway Lane in the city. His death comes even as there is a brief lull, with the police hierarchy again strategizing another ‘master’ crime plan to tame the runaway murder rate in the parish of St. James. Unconfirmed reports to the Western Mirror are that sometime after 1 p.m. on Tuesday, Watson, who had spent some time in prison, was standing along the roadway when he was pounced upon and shot. He received wounds to the upper body. Reports also indicate that in a recent shooting at Railway Lane, in which five persons were shot and wounded, Watson was purportedly the target. It is understood that a festering turf feud between Gravel Lane and Dean’s Lane could be at the heart of the killing. Police statistics revealed that 313 persons have been killed in St. James since the start of the year, 49 more than last year with 19 days remaining in the calendar year. St. James, described as the most murderous parish in the country, has the highest of killings in the 19 police divisions across the country. In the meantime, the crime plan crafted by the police has highlighted nine specific measures which are expected to rein in the crime ‘monster’. Among the measures are: improving intelligence capacity, enhancing investigative capabilities, greater use of technology to assist with investigations, reviewing and redefining the divisional command and staff structure, increasing collaboration with local, regional and international law enforcement agencies, especially on transnational and financial crimes, strengthening partnerships with various public and private sector stakeholders, enhancing community collaboration with community stakeholders and groups, and boosting the morale of staff through increased training and development for persons within the Division. The Counter Terrorism and Organized Crime Branch (C-TOC) and the Major Organized Crime and Anti-Corruption Agency (MOCA) have also been jointly tasked to aggressively tackle organized and financial crime. MOCA will be refocusing their efforts on issues of Police corruption. The police have also resolved to have greater presence in public spaces and to increase public order activities, especially around illegal vending and traffic congestion in Montego Bay.